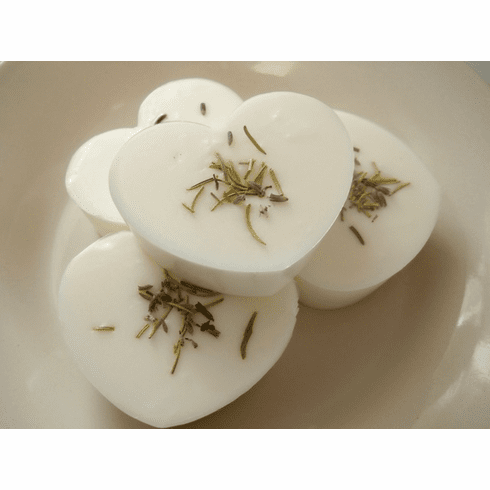 This all natural adorable soap is great for all those lovers of essential oils because it is made with both lavender and rosemary essential oil. Also contains, goat milk, almond oil, shea butter, & is lightly sprinkled with lavender buds and dried rosemary. Comes cutely packaged in a very fun, printed cello bag, a bow, and a card stock tag.